Ali Mostafavi, a doctoral student in the School of Civil Engineering, received the Grand Prize and People's Choice Award at the USDOT Data Visualization Student Challenge for his simulation and visualization model of the outcomes of financing policies in transportation infrastructure. 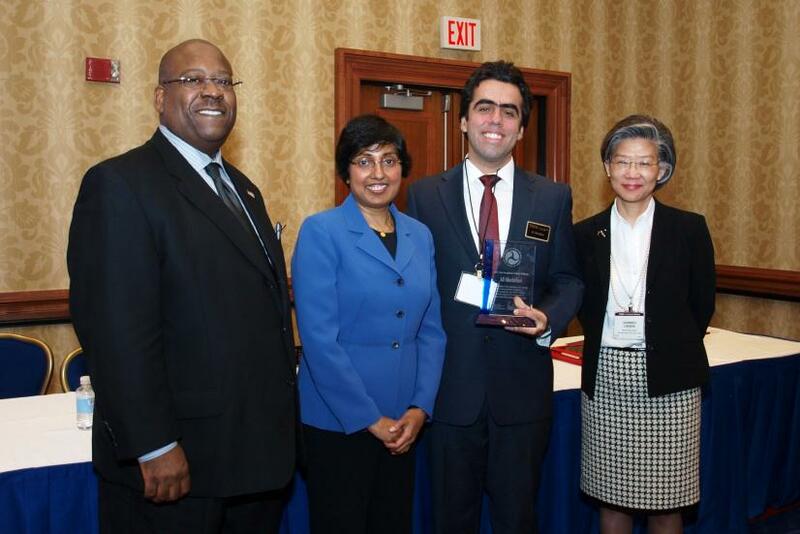 Ali Mostafavi, a doctoral student in the School of Civil Engineering, received the Grand Prize and the People’s Choice Award for his simulation and visualization model of the outcomes of financing policies in transportation infrastructure. His work was selected as the winner of the economic development category, leading submissions from Massachusetts Institute of Technology (MIT) and Iowa State University which were the home institutions of the second and the third place winners, respectively. Ali’s work was honored at the 2012 TRB 91st Annual Meeting which took place in January 22-26, 2012, in Washington, DC. Ali’s doctoral research, conducted under the supervision of Professor Dulcy Abraham, is an interdisciplinary study that focuses on the fundamental challenge related to expansion of sustainable financial innovation policies, and resulted in the development of a new systemic approach for innovation and policy assessment in infrastructure. His doctoral committee includes: Professor Dan DeLaurentis (School of Aeronautics: Focus on System of Systems); Professor Joseph Sinfield (School of Civil Engineering: Focus on Innovation Theory) and Professor Charlene Sullivan (Krannert School of Management: Focus on Finance). As a part of his doctoral research, Ali created a simulation/visualization model that captures the dynamics of infrastructure financing using a hybrid agent-based/system dynamics technique. This distinctive approach is the first of its kind to simulate the policy landscape of the U.S. transportation infrastructure by simulating the micro dynamics of the players in infrastructure financing.